Central Victorian Greenhouse Alliance is proud to be working with Energy Matters, as the solar supplier and installer for the current round of MASH as well as the Hepburn Solar Bulk-Buy. Energy Matters was selected for the current round of MASH (round 4) and the Hepburn Solar Bulk-Buy through a public tender process which was overseen by the Alternative Technology Association. Price, quality, commitment to honour warranties and customer service were all key criteria that were evaluated as part of the process. If you complete the ‘Request a Quote Form‘, the team at Energy Matters will be in touch with you within 2 days, at the time you specify on the form. 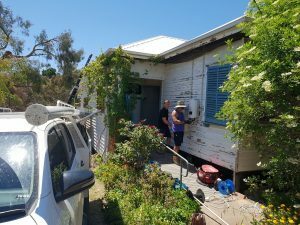 If however you want to call them right away to get a quote, please contact them on 133 SUN (133 786) and mention you are calling because of either the Hepburn Solar Bulk-Buy or the MASH community solar bulk-buy, so they can offer you the pricing that we’ve negotiated with them. Founded in 2006, Energy Matters is one of Australia’s largest solar companies solely dedicated to residential, commercial and wholesale solar energy and storage solutions. Energy Matters appoints local solar installers, where possible, to install MASH systems thereby supporting local businesses in the region where MASH is available. These installers work under contract to Energy Matters to their performance quality standards and the quality of their workmanship is underwritten by Energy Matters. As a CEC Accredited Solar Retailer, Energy Matters will take responsibility for managing any warranty claims on any systems it sells, including all product and performance warranties and installation workmanship. The benefit to customers is that you only need to make one call to Energy Matters to get any warranty claims sorted out. Energy Matters was the supplier and installer for the second round of the MASH community solar bulk-buy in 2015, installing close to 300 systems in the Mount Alexander Shire, Macedon Ranges and surrounds with terrific results and positive feedback from customers. It was also the supplier for MASH round 3.2 which ran between November 2017 and April 2018 and resulted in over 140 new solar rooftops. Energy Matters is headquartered at Southbank in Melbourne. The team includes a number of staff who’ve been involved in the previous MASH bulk-buy and who are passionate about the project and what MASH stands for. 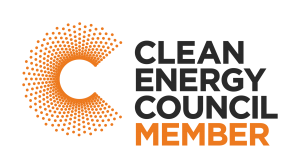 Energy Matters was amongst the first Australian solar power brands to be listed on the Clean Energy Council’s (CEC’s) Solar PV Retailer Code of Conduct. The Code aims to further enhance consumer confidence and consumer protection in the solar PV retail sector; plus further improve solar retailer standards and compliance. Go Solar with MASH! Good for your pocket. Good for your community. And great for our planet!